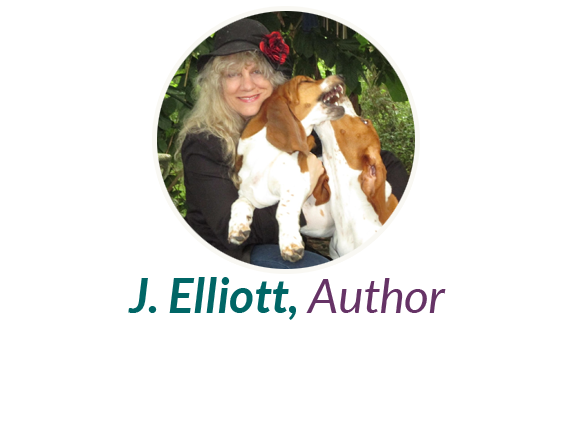 Hedonistic Hound is proud to release J. Elliott’s second collection of short ghost stories, Tales From Kensington. 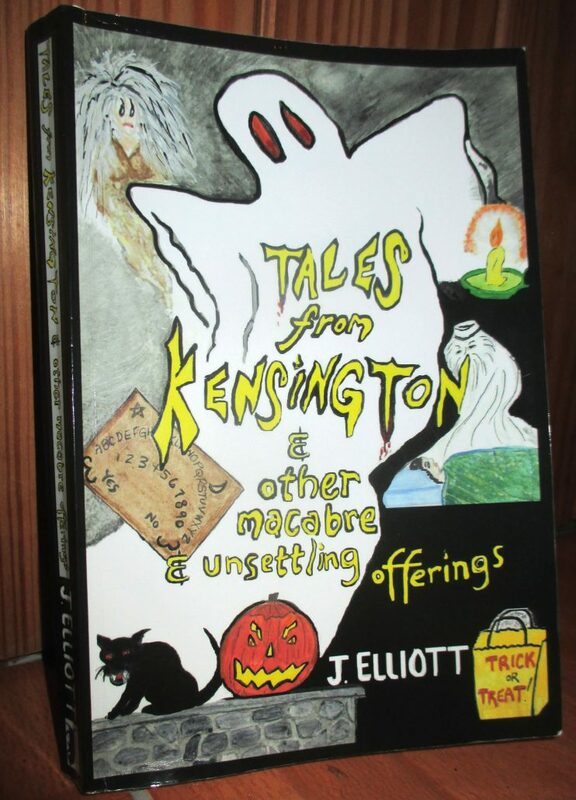 Tales From Kensington is the second volume of macabre short stories by author J. Elliott. Like its predecessor, Ghost Lite, the tales are engaging and eerie, sometimes amusing and always disquieting. The author is a great admirer of the old classics of the gothic and supernatural: James, LeFanu, Dickens, Wharton. Join a group of college students in a cozy dormitory on Halloween night as they share true ghost stories. The lights flicker. The wind picks up. A limb falls on the roof. You know, they say that when you share ghost stories, the spirits listen in… A renowned photographer is live on a talk radio show promoting his retrospective art exhibit. But why did he suddenly give up photography at the peak of his career? Why won’t he say? There’s going to be a new candy store in the historic district. Won’t that be nice? But you know, the woman who used to live there hated children… A priest has a crisis of faith over a little girl. An innocent child, surely? Why doesn’t she have any friends? A sheriff in a small town is asked to do a wellness check on a widow who lives at the end of a country lane. She died of natural causes, but left behind a most peculiar letter… Want to cool down in the heat of summer? This’ll give you a chill! Get the popcorn. Get comfy and settle in for a special treat. Don’t wait for Halloween! In the second Haint Blue Adventure, it’s Halloween! Business has been about as dead as her lawn-maintenance man, Bob was in September. But as the end of the month approaches, bookings pick up. It’s going to be a rousing night at the Blue’s Lotus Lodge. But as the sun rises on All Saint’s Day, some of the guests are missing. Did they take the party elsewhere, leaving voluntarily? Were they kidnapped, or is it murder? Maybe, the Florida Skunk Ape is to blame! Good thing Haint’s got cryptozoologists on her guest list to help her. 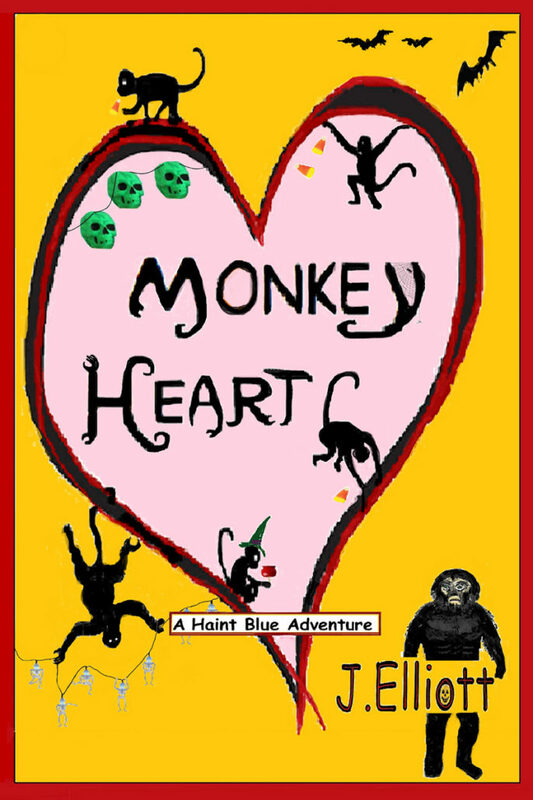 As no one seems to have been where they claimed to be, and the French-style farce unfolds, Haint finds herself falling for Buster Crabtree, the lead Skunk Ape researcher…. © 2017-2018 Hedonistic Hound Press. Design by Smarter Website Designs.